Tel Aviv/Paris (FOREF) – A draft law “for the Handling of Harmful Cults” has been presented to the Knesset on July 20th, 2015. This draft will be subject to an examination by the Committee on Law, Constitution and Justice of the Parliament of Israel. Dr. Patricia Duval, a French attorny specialized in the right to religious freedom and international human rights law, has analysed the new Israeli draft law on religious minorities. According to her findings the draft law violates both Israeli constitutional standards and international human rights norms and thus should be rejected. The Law Proposal for the Handling of Harmful Cults (Draft Law), submitted to the Knesset Committee on Law, Constitution and Justice gives a definition of “harmful cults” and provides six articles of law designed to fight against groups deemed to fall within the ambit of the definition. The Draft Law would seriously impair the rights of members of religious communities, not only minorities but also traditional religions. It cannot be countenanced in light of Israeli Basic law and principles, and international human rights standards committed to by Israel. It would also create serious problems for the application of Israeli criminal law, in particular by sanctioning the concept of “mind control” which would allow individuals to escape personal criminal liability. There is no need for the Draft Law to be enacted. Abuses by “harmful cults” have been punished by Israeli Courts in the past and existing law has proven sufficient to repress harmful activities. Under recent developments and media coverage, the issue of the Lev Tahor community and its children has been used in an attempt to have the Legislature circumvent Israeli Courts’ jurisprudence. However, the Law on Legal Capacity and Guardianship as well as the Youth Law (Treatment and Supervision) currently provide for the adoption of draconian measures to protect children in danger. The actual purpose of the Draft Law has nothing to do with children’s well-being. It has everything to do with: 1) the possibility of circumventing the consent of followers to be in groups deemed to be “cults” by invalidating their consent by reliance on the discredited mind control theory; and 2) getting rid of these undesired minorities by creating a presumption of guilt in order to convict their leaders without any evidence of crimes, confiscate their properties, and declare their followers legally incompetent so they may be “treated”. Articles 2 and 3 of the Draft Law, which provide for the conviction of group managers to ten years imprisonment and the confiscation of properties, are strikingly similar to the existing provisions of the law on criminal organizations, which applies when real crimes are demonstrated. The proposed legal provisions are therefore unnecessary to repress actual criminal activities. Additionally a draft Bill introduced in the Knesset provides for sanctions against ministers or self-proclaimed spiritual leaders who abuse their followers’ faith to have sexual relations with them. These provisions should be fully sufficient to respond to the on-going concerns in Israel about sexual exploitation of adult women by so-called “cult leaders”. The Draft Law defines a “harmful cult” as a group organized to exert mind control or undue influence over its followers, “acting in an organized, systematic and ongoing fashion while committing felonies”. These general terms imply that the criminal activity is inherent to the usual activities of the group and no actual crime or offense is identified or evidenced; the criminal activity of the “harmful cult” is primarily the sort of mind control exerted over individuals. Undue influence is described as the exploitation of a “relationship of dependence” or “authority” using “methods of control over thought processes” over the group members. However, dependence on a moral or spiritual authority is inherent in any Church affiliation and control over thought processes can be said of any religious guidance. This definition could be applied to any religion, especially those practices considered as very demanding and constraining, such as ultra-Orthodox faiths like Haredi Jews and others. The theory of “mind control” applied to religious communities has been rejected by Courts and human rights institutions worldwide. U.S. Courts: A review of U.S. jurisprudence shows that this theory, which was originated and defended by psychologist Margaret Singer, cited as the expert reference in both the 1987 Tassa-Glazer Report and the 2011 Ministry of Welfare and Social Services Report on cults, was rejected as not scientifically established and unreliable to the point where Singer was rejected as an expert in cases involving groups claimed to be “cults”. Israeli Courts: Israeli Courts rejected this theory in several cases, including the 2014 Supreme Court ruling against the followers of Elior Chen, where it found that the theory of brainwashing was inapplicable and that “extending the limits of the insanity plea to include ‘cult victims’ might hinder the efficiency of Criminal Law”. The European Court of Human Rights: In a 2010 landmark decision Jehovah’s Witnesses of Moscow v. Russia the Court found that “there is no generally accepted and scientific definition of what constitutes ‘mind control’” and that “it is a common feature of many religions that they determine doctrinal standards of behaviour by which their followers must abide in their private lives”. International Human Rights Instruments: The vague concepts characterizing mind control in the Draft Law contravene Article 15 of the International Covenant on Civil and Political Rights (“Covenant”), which mandates that any actions subject to criminal charges must be defined in terms that are sufficiently clear, specific and foreseeable for citizens to know beforehand what actions or omissions would involve their responsibility and to preclude arbitrary prosecution. The French Experience: France adopted a law with a similar concept of “psychological subjection” in 2001, in the Law for the Repression of Cultic Movements. Its provisions have been condemned as vague and discriminatory by the Council of Europe and the United Nations. The Law has rarely been applied, Judges deeming it “difficult to establish the proof of a notion which remains vague and, at the least, far from legal concepts”. The Explanatory Remarks in the Draft Law provide that the definition of “harmful cults” will allow “distinguishing between legitimate cults with religious characteristics and cults”. Classifying what communities should be considered true religions and what communities should not is discriminatory and has been explicitly condemned by the United Nations, the Organization for Security and Co-operation in Europe (OSCE), and the Council of Europe. 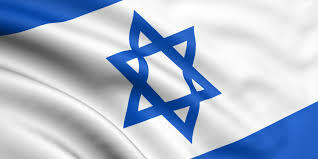 It also infringes the principles enshrined in the Declaration of Establishment of the State of Israel. The successive UN Special Rapporteurs for Freedom of Religion or Belief found that there is no “acceptable distinction” between sects or cults and religions and that apart from the legal courses available against harmful activities, “it is not the business of the State or any other group or community to act as the guardian of people’s consciences and encourage, impose or censure any religious belief or conviction”. Condemnation of the French Anti-Cult Policy: Classification of cults resulted in the blacklisting of 173 minority communities as “sects” in a 1996 French Parliamentary Commission report. In her 2005 report on France, the UN Special Rapporteur for Religious Freedom found that the list had “negatively affected the right to freedom of religion or belief ” and urged French “judicial and conflict resolution mechanisms to no longer refer to” the list. The French policy on “cults” has also recently been condemned by the Parliamentary Assembly of the Council of Europe through the rejection of a proposed resolution recommending that the Member States adopt legislation on “psychological subjection” (mind control) similar to the French Law and now the Israeli Draft Law. Instead, the Parliamentary Assembly called on member States “to ensure that no discrimination is allowed on the basis of whether a movement is considered a sect or not”, “when it comes to the application of civil and criminal law”. The French system has also been condemned internally in France by Judges and Prosecutors who have refused to solicit MIVILUDES in their cases, a government body which collects information on so-called “cultic” groups, “invoking secrecy of criminal investigations and the existing link between MIVILUDES, an agency placed directly under the Prime Minister and the Executive Power”. Similarly, the Draft Law provides for the formation of a data base on “harmful cults” by the Ministry of Welfare and Social Services (Article 4) including information on their heads and executives, so as to allow their conviction (Article 2). Under Israel Basic Law on the Judiciary, judges are not supposed to receive any directions from the Executive on who should be considered a member of a “harmful cult” and should be prosecuted or convicted. These provisions also violate international instruments binding on Israel: 1) Article 14 of the Covenant, which guarantees the right to an independent and impartial tribunal; 2) the UN Basic Principles on the Integrity of the Judiciary which provide that Judges must be free from undue influence by the executive and legislative branches; and 3) the UN Guidelines on the Role of Prosecutors, which provide that Prosecutors must carry out their functions impartially and avoid any religious discrimination. Article 2 of the Draft Law provides for the conviction of individuals to a 10-year jail term for the mere fact of heading a group which has been labeled by the Executive as a “harmful cult”. No criminal actions have to be established and no violation of criminal law has to be characterized. This violates the principles of presumption of innocence and personal accountability for precise criminal acts and charges under the Covenant. Article 14, as interpreted by the UN Human Rights Committee in General Comment 32, “imposes on the prosecution the burden of proving the charge, guarantees that no guilt can be presumed until the charge has been proved beyond reasonable doubt”, and requires that defendants should not be “presented to the court in a manner indicating that they may be dangerous criminals”. Contrary to these provisions, the Draft Law establishes an irrefutable presumption of guilt, and allows for systematic convictions of the heads of “harmful cults” without a proper trial. The Draft Law also provides that members of “harmful cults” can be put under guardianship and treatment. Considering religious communities’ members as incompetent due to their religious affiliation violates their right to freedom of religion in contravention of Israeli basic principles and international human rights standards. It also denies believers accountability for their actions, in spite of the Israeli Supreme Court’s ruling to the contrary in the case of the followers of Elior Chen. This provision would open the door to evasion of criminal liability and would seriously hinder the repression of crimes. The Draft Law also lays out the creation of an infrastructure which would provide “mental care” to “harmful cults” members. The treatment would be “exit counselling” provided to followers by a mental care unit granted with “intervention methods in this area”. As detailed in the 2011 Report, these methods make use of “rehabilitated” former members to persuade the follower to leave his community. The Report refers to Rick Ross, an American deprogrammer who claimed to have intervened in hundreds of deprogramming cases but had to stop after a multimillion-dollar judgment for the injuries caused to a minority faith follower by “the oppressiveness of [his] actions” and the “incapability of appreciating the maliciousness of [his] conduct”. The Draft Law provisions on “treatment” would allow a “re-set” of condemned deprogramming practices of Ross under the label “exit counselling”. Coercion of followers of religious communities to recant their faith by demeaning their religious beliefs under pressure is harmful, violates their right to freedom of religion or belief and is specifically prohibited under Article 18.2 of the Covenant. The Draft Law does not comply with basic legal standards under Israeli and international human rights law and should be rejected. This entry was posted in Israel, Legislation, Persecution of Religious Groups and tagged cults, Israel, Knesset, MIVILUDES, Religious Freedom. Bookmark the permalink.